Parts and Material, Standard® Series,Bolted Mechanical fittings, Standard®,Products,Rockpower - Fluid Handling Equipment and Machine Parts. The Standard® Series of Bolted Mechanical Fittings are manufactured in our own factories under quality management system in accordance with ISO 9001:2008. Suitable for Potabale Water, Sewage and Chemicals (not suitable for Petroleum Products). Suitable Temperature Range: -40℃ to +90℃. Suitable for Natural Gas and Petroleum Products (not suitable for Potable Water). Suitable Temperature Range: -20℃ to +100℃. 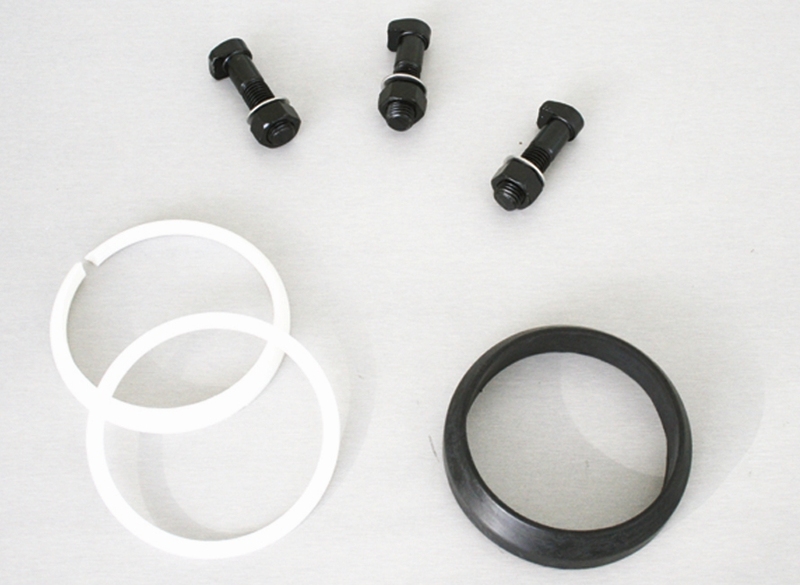 Acetal Copolymer (POM-K) Grade Celcon® M90 or equivalent. Body and short T-bolts are Epoxy Powder Coated in WRAS Approved Material. T-Bolts and nuts are protected by Cathode Electrophoresis Coating against corrosion.